Winsor and Newton Half Pan Sketchers pocket box have been specially developed for the watercolourist who requires transparent watercolours at an affordable price. Cotman watercolours possess good transparency with excellent tinting strength and working properties. 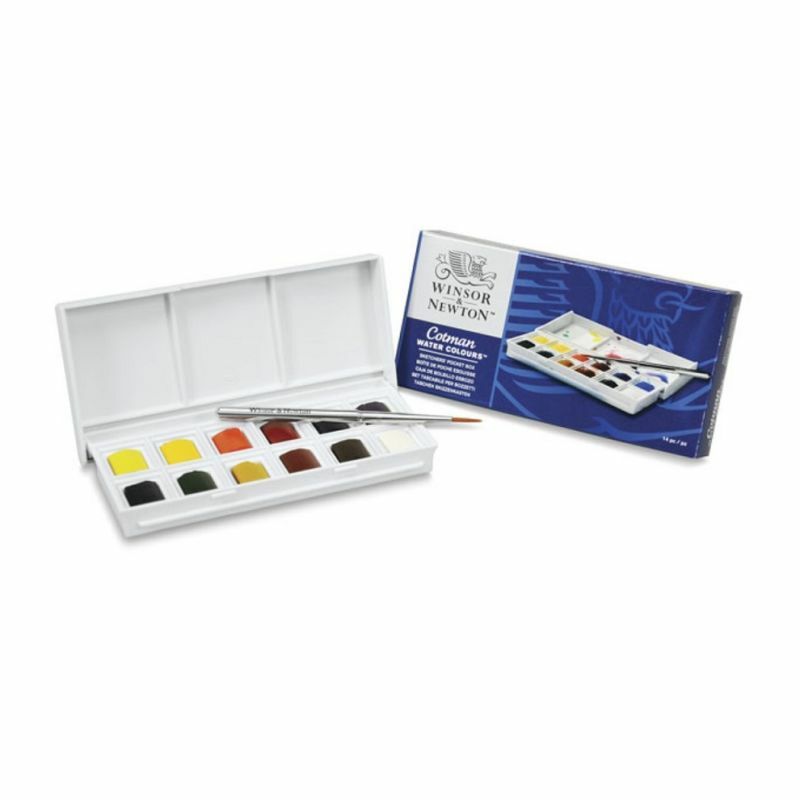 This popular pocket sized plastic box features an integral mixing palette in the lid and contains 12 assorted Cotman Watercolour half pans and a popular Sceptre gold collapsible pocket brush. Colours include: Lemon Yellow, Intense Blue, Cadmium Yelow Hue, Cadmium Red, Burnt Sienna, Viridian, Sap Green, Chinese White, Alizarin Crimson Hue, Ultramarine, Burnt Umber and Yellow Ochre.